Vinsys has been delivering trainings on IT Service Management, IT Security Management and IT Governance for Individuals and Corporate across the globe. Our ITSM and IT Governance division is led by Mr. Vishal Vyas, CGEIT, ITIL® Expert and one of the 18 APMG Accredited Individual trainers worldwide. Anexas is for your training needs. Anexas provides high quality training, and it’s known to the public as a Centre with professional trainers with vast experience. 100 Percentage Certification Guarantee Study Material. Nectar provides ITIL Trainings in Pune, Mumbai & other cities in India. With ITIL Training & Certification adopters have more opportunity than ever before to drive business success. ITIL v3 has not only increased the emphasis on improving business performance through IT and IT services, it has gone on to embrace Business Service Management. 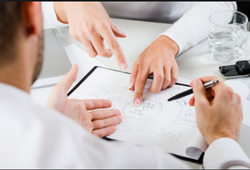 IEVISION offers guidance on designing, developing and implementing ITIL service management. In this course, you learn how to plan, implement and optimize the service strategy processes and gain the skills required to pass the ITIL Intermediate Qualification: Service Strategy Certification Exam.